I hope you are all enjoying your summer. Whether you are home or travelling, it’s always nice to enjoy longer days and warmer weather. We love seeing all of the creative ways you are using our products. 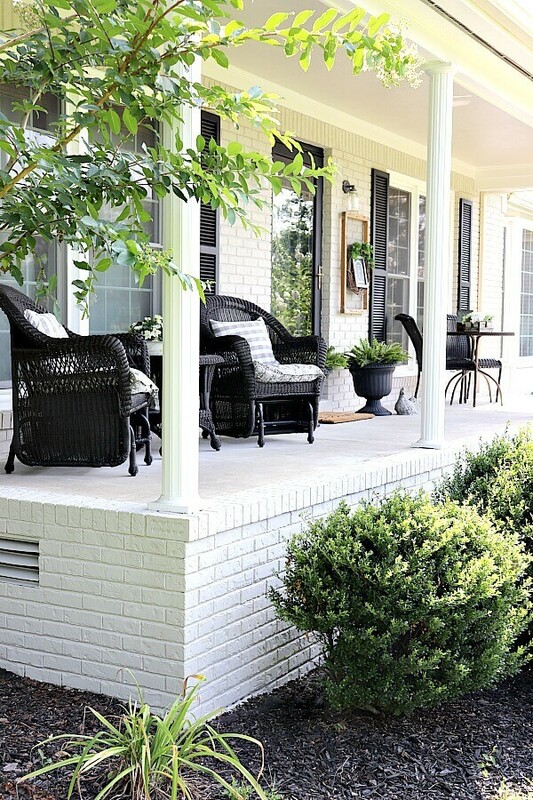 If you need inspiration, check out a recent blog post from ‘Jen’ with the popular Noting Grace Home Decor blog, who shows off her newly revamped front porch, just made for relaxing and enjoying these lazy, longer summer days. The title of her blog post is a “Simple Summer Farmhouse Porch,” and the most stunning detail (we are biased of course!) is our Classico Limewash in Nube Gray, applied as an opaque, solid finish. This color of the Classico Limewash is one of my favorites. Nube Gray is one of our more versatile ‘nonwhite’ colors that is not too dark, but a lighter, neutral shade with gray in it that works with both warm and cool accents. But what makes this porch more stunning is Jen’s use of black furniture and paint on the door and shutters, allowing the Classico Limewash to pop! As you choose your ideal shade of Classico Limewash, the color of your roof, trim, and shutters are the more important features to think about. Stay in the same family of warm or cool tones for these and you’ll be happy as the color of the brick really doesn’t matter. Read all of Jen’s summer porch tips and see additional photos – including the ‘before’ of her home – on the Noting Grace Blog. 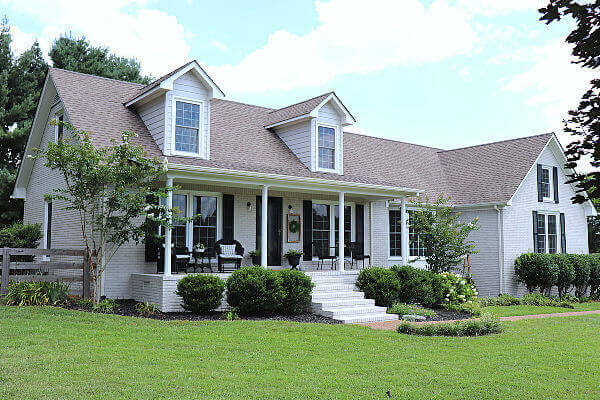 As with most of her projects, Jen and her husband decided to tackle their exterior home makeover as a couple’s DIY project. We can’t wait for her full reveal along with the tips and tricks she learned along the way. Stay tuned for the final home reveal from Jen at Noting Grace!